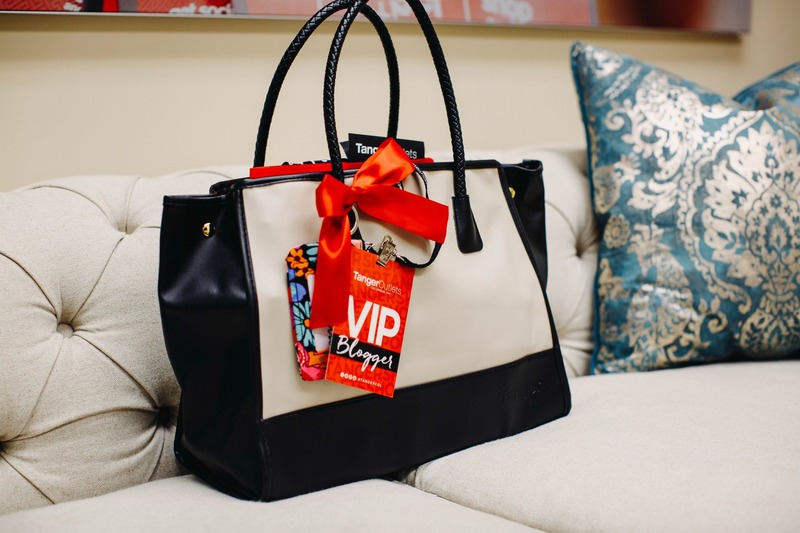 Last week, I was invited to a VIP Bloggers Meet at Columbus Sunbury Tanger Outlet. Unfortunately, due to work, I was not able to make it to the event and was pretty bummed about it until I saw an email from the organizers (Thanks, Brianne) asking me to meet the next day when I was free. They gave me a quick recap of the event and left me spoiled by handing me a goodie bag (pictured above) and a few gift cards that can be used at different factory stores. Obviously, I got excited (who won’t!!) and shopped the entire Saint Patrick’s day morning forsome cute Spring work outfits before heading out to enjoy some green drinks with my friends. Outlet malls are my favorite place to shop for workwear and gym wear since they can be really expensive in regular retail stores. 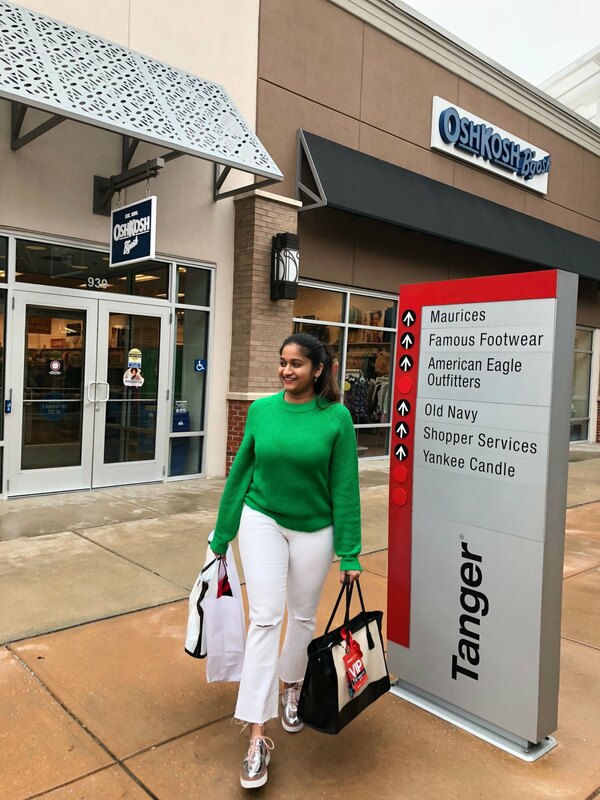 Tanger outlets always have great deals and if you are their reward member, you can save little more with their member exclusive offers. 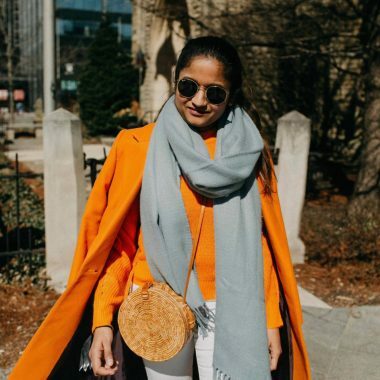 Plus, it has some of my favorite stores like Ralph Lauren Polo, Banana republic, J.Crew factory, Express, Ann Taylor Factory, Tommy Hilfiger and Nike. 1. Join TangerClub– This is a Tanger reward program with exclusive member perks. With this one time $10 membership, not only you get the coupon book for free every time you shop, but you can submit your shopping receipts in return for rewards that convert into shopping dollar! 2. 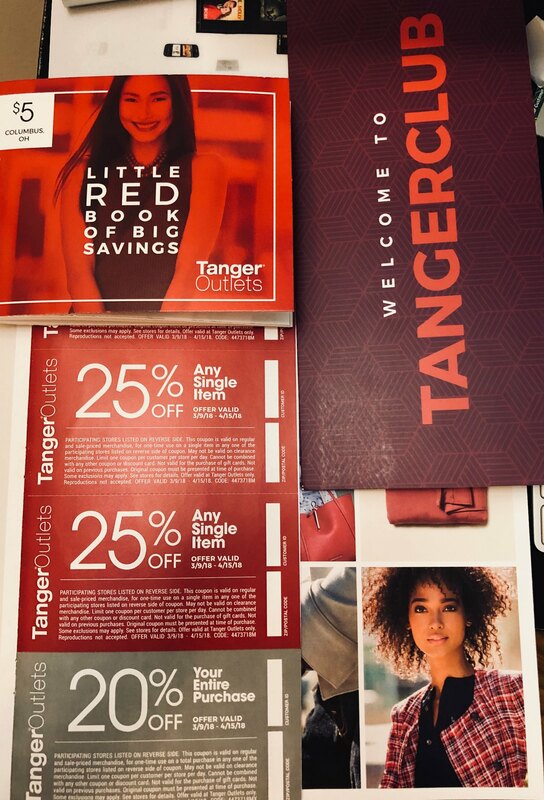 Little Red Book of Big Saving– This little coupon book is loaded with store coupons that you can pick it up at Shopper’s service for free if you are a Tanger Club member and $5 for non-members. 3. 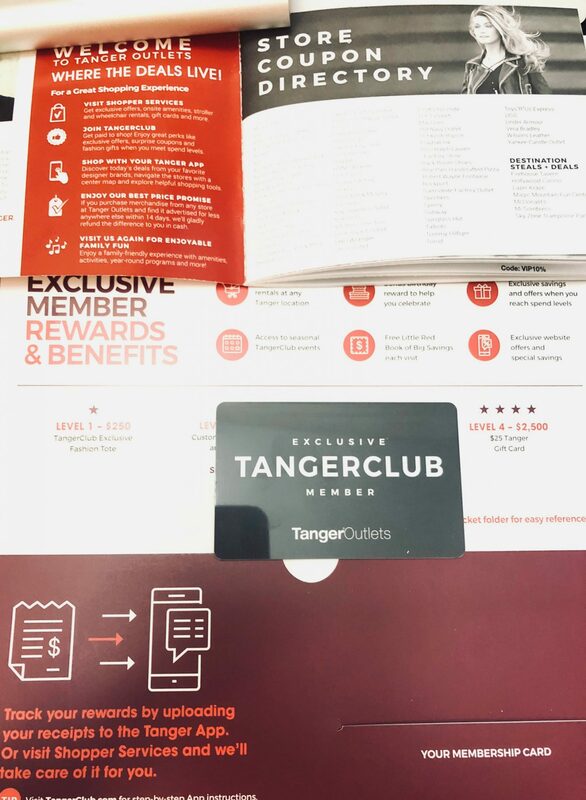 Download the Tanger app (iPhone, Android)- The App not only has personalized coupons but if you’re a member of the TangerClub that I mentioned above, the app also allows you to easily take a picture of your receipts so that you can earn your rewards! 4. General Outlet Shopping Tip– Few stores like American Eagle, express, etc. carry some similar stuff in both their retail and outlet stores. Check out their outlet store before buying them as you can get them cheaper at the outlet mall with the exclusive member coupons. Ex- I found these Express work pants that are also available at outlet stores for under $40. I have listed style numbers for all the Spring work outfits I bought for your reference. 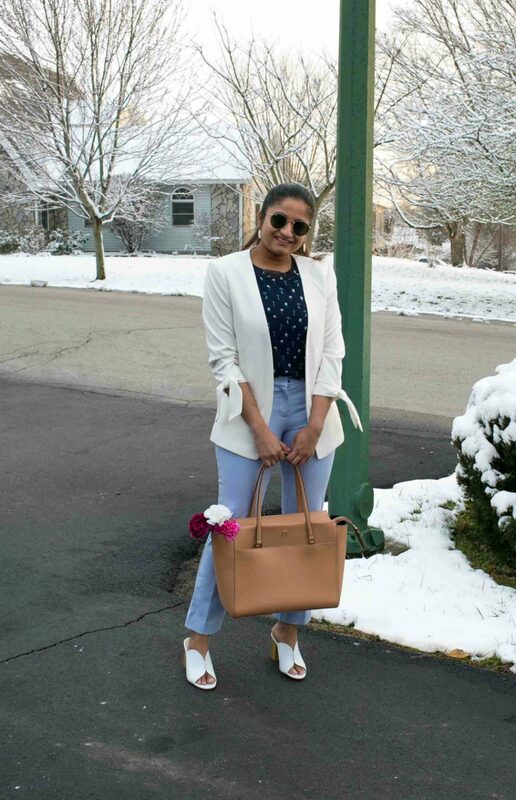 Ann Taylor outlet had the best spring pieces, surprisingly (since outlets don’t usually carry season trends) they carried a lot of Spring trends like wrap dresses, lilac, and white color tops and pants. All their dresses and tops were super cute. 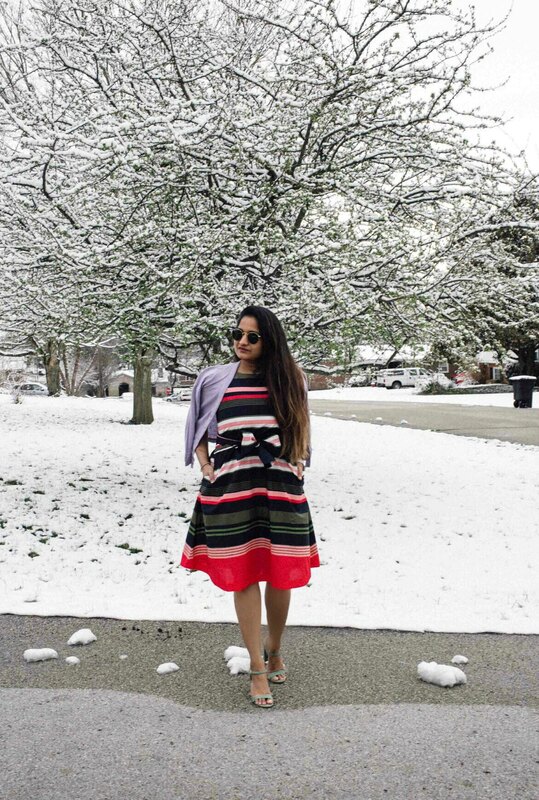 I swooped up this striped dress the instant I saw it as its colorful and has the cutest bow detailing. I love that it’s versatile enough to wear it to work with a cardigan and for special occasions like Easter holiday. The colors are fancy and not too over the top. I am a sucker for such simple yet fancy pieces. I have been on the lookout for lilac pants for a month now, I am so happy that I found the perfect pair that I can wear it to work and out by just switching the shoes from heels to Oxford’s. Ok, seriously how gorgeous is this blazer? 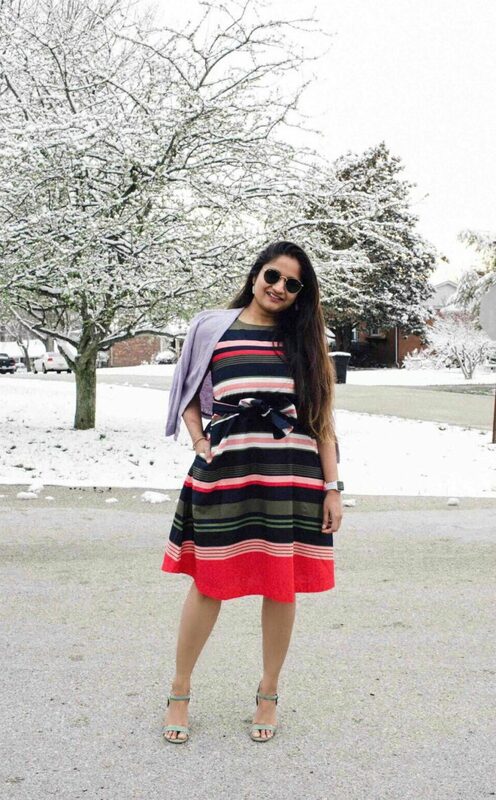 The tie detailing on the sleeves is unique and chic. The length is of a boyfriend blazer but it fits like a regular blazer unless you size up. 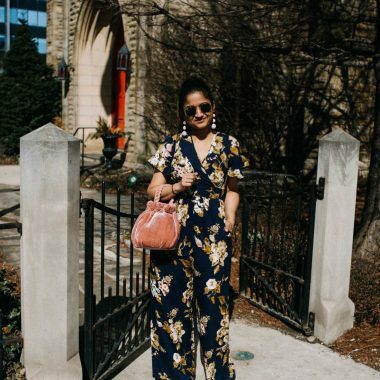 The second store I loved after Ann Taylor was Express, they had all the Spring essentials you need- Floral blouses and dresses, polka dot blouses, and pastel hue items. 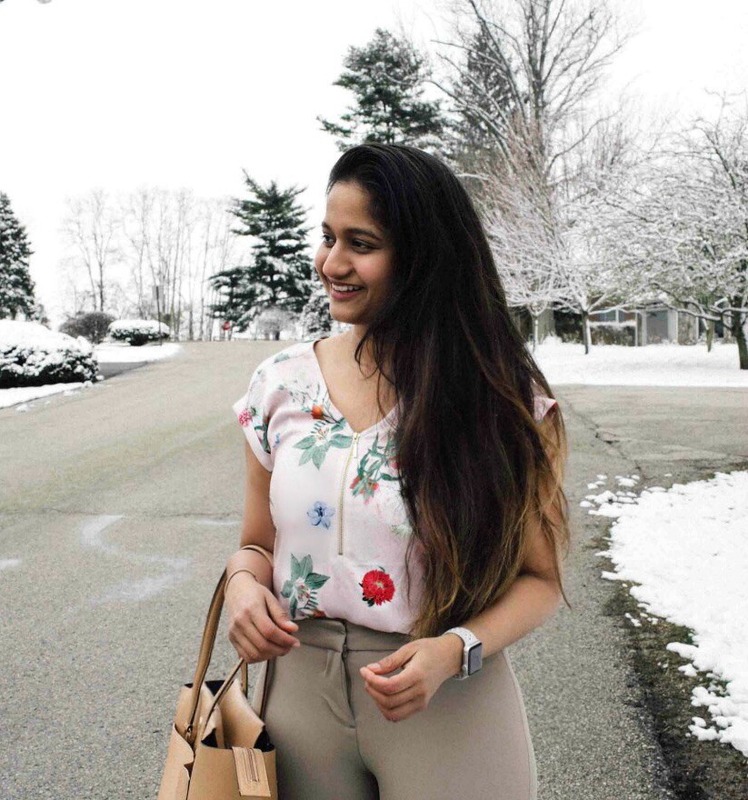 Nothing can beat a neutral floral blouse that can go with literally anything. I was flattered by the zipper detail on this blouse, it’s modern and interesting compare to regular boring office blouses. 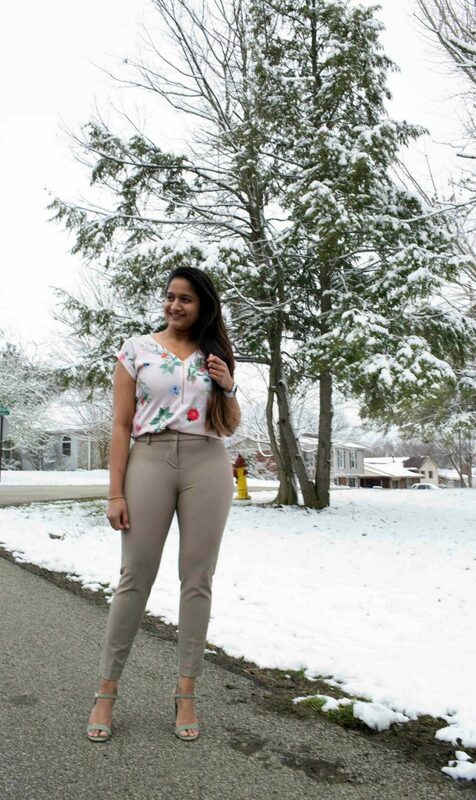 I am usually not a huge fan on Express workwear pants but I love these stretch skinny pants that I specifically bought it to wear with tunic tops and sweaters since it fits like a legging and not to mention, equally comfortable. The color is very pretty and can go well with bold color tops. 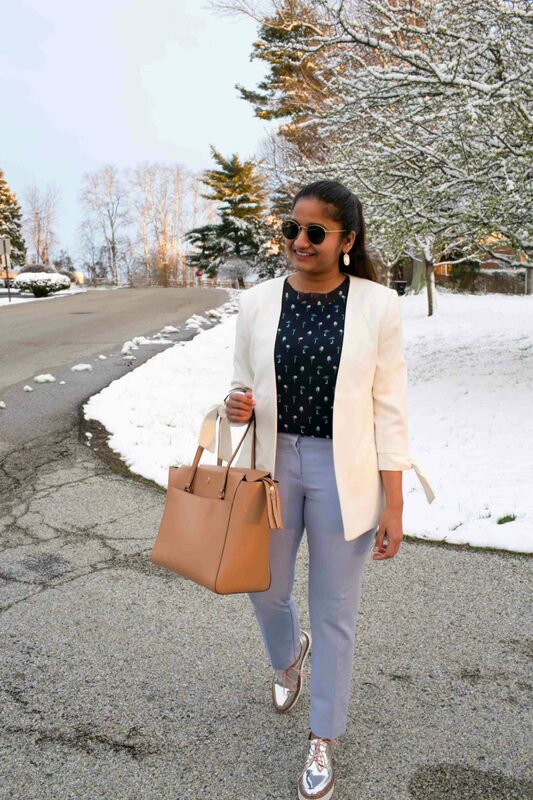 I can go on and on how much I love this polka dot blouse. Sea green color is my absolute favorite pastel hue. It will look amazing with other pastel hues (imagine it with a lavender or pastel yellow bottom) and warm neutral hues like brown. 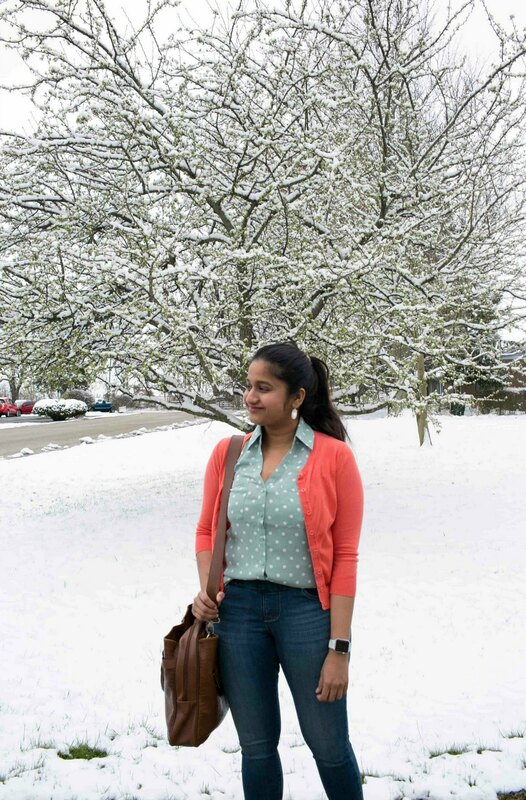 I have the same color and dotted pleated skirt, they mix well with each other creating a perfect monochrome look. I can’t wait to share that outfit. 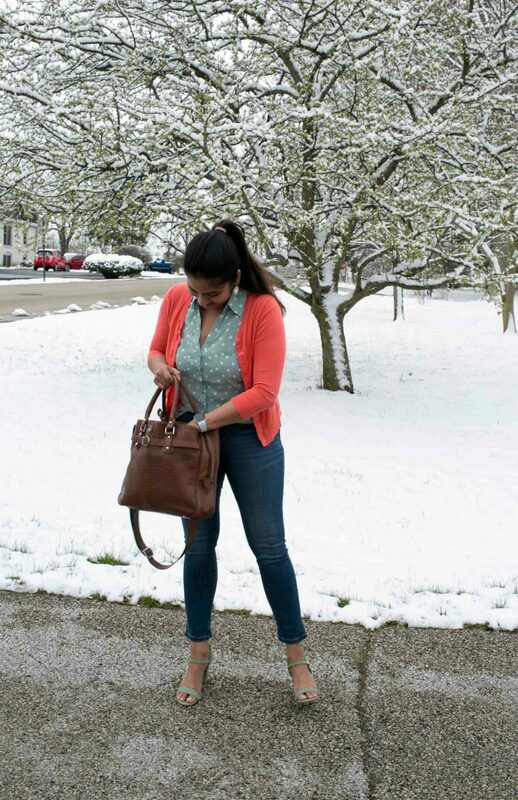 The darker shade Lee skinny jeans look gorgeous in person and can pretty much go well with any colored top. The fit is darling, the only thing that made me think twice is the loosely fitted hem. But I got it anyway since it looks great when tucked in, very few jeans look good on my curvy body tucked in. 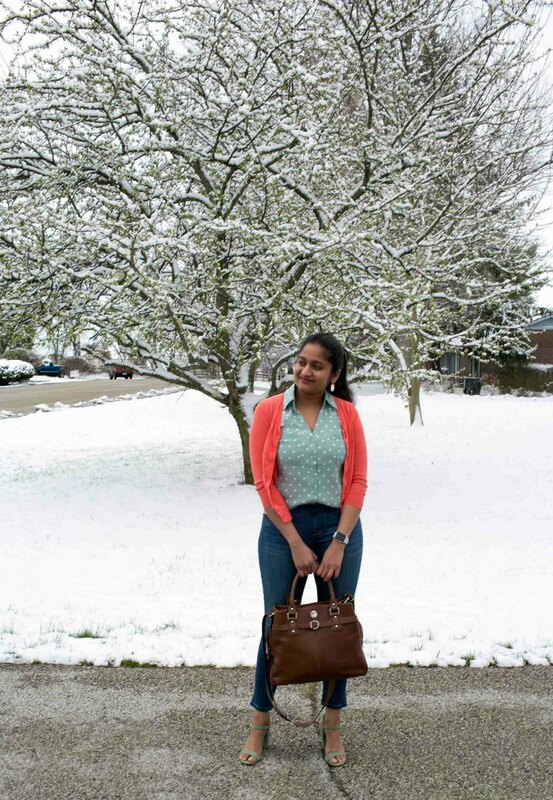 This spring work outfits post is done in collaboration with Tanger Outlets Columbus. All opinions, choices, and styling are my very own.